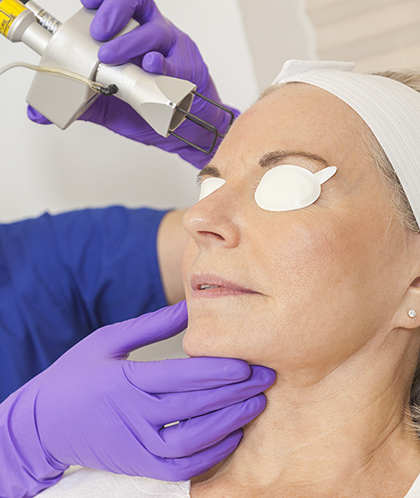 What is the MiXto CO2 Laser? The MiXto CO2 laser is a carbon dioxide (CO2) laser that is used to treat a variety of skin issues, including but not limited to fine lines, wrinkles, scars, and pigmentation issues. The laser heats and vaporizes the outermost layer of skin, leading to a smoother skin surface and less visible wrinkles and fine lines*. The MiXto CO2 laser is special because it allows for the physician to have more control of the laser beam, meaning a more effective and efficient procedure with less pain and a faster recovery time*. The main difference between a fractional CO2 laser and the MiXto CO2 laser is that the MiXto laser is much more efficient. In just one 30-minute session, the MiXto CO2 laser is able to accomplish better results then other lasers can in 3 treatments”! The MiXto laser also provides skin resurfacing that is less painful, needs less recovery time, and is less expensive*. All told, the MiXto CO2 laser resurfacing treatment is a far better skin treatment when compared to other fractional CO2 lasers*.